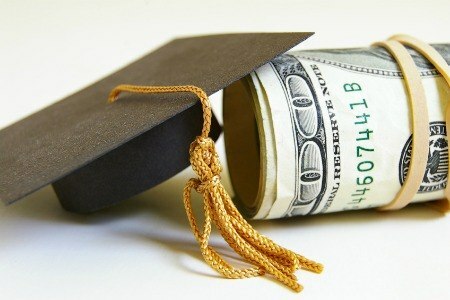 Compared to last year's graduates, the Class of 2012 has a much brighter outlook for starting salaries. Their starting salaries are expected to average around $44,442 showing a 6.6 percent increase from the previous year. It's been a slow and steady pick-up for the economy, but nonetheless a progressive recovery. This figure, however, is just an estimated average. According to The National Association of Colleges and Employers, salaries will naturally depend on the kind of position applied for and in the given field of study. Even though college graduates will usually earn a higher salary than individuals without a degree, not all degrees are equal. Fields that have growing demand in the job market such as engineering and computer science, can earn substantially more than the average starting salary. These fields can often start new grads at salaries of $55,000 or more. Other degrees that have unchanging or decreasing growth can leave graduates scrambling to find positions with starting salaries even at $35,000. Some of these areas might include humanities and education. Business degree holders typically fare best for highest paying starting salaries. Positions as financial managers and with insurance companies are particularly in high demand along with marketing majors. Despite growth in starting salaries for teachers and journalists, earnings for grads in these fields still ranked low compared to other degree fields. Surprisingly, the careers with the most profitable potential were those in the utilities field. Jobs that relate to steam and water supply, sewage removal, natural gas, and electrical power all have higher starting salaries far beyond most in other industries. The unfortunate side of this salary slope is that the educational sector has nearly 300,000 graduates going into the field for 2012 while the starting salaries remain low. The good news is that the number of available opportunities is increasing for new graduates even though not every job will carry much weight in improving the 2012 work force. The thing to keep in mind is that the jobs are there, even if the paychecks may not add up to grads' expectations. 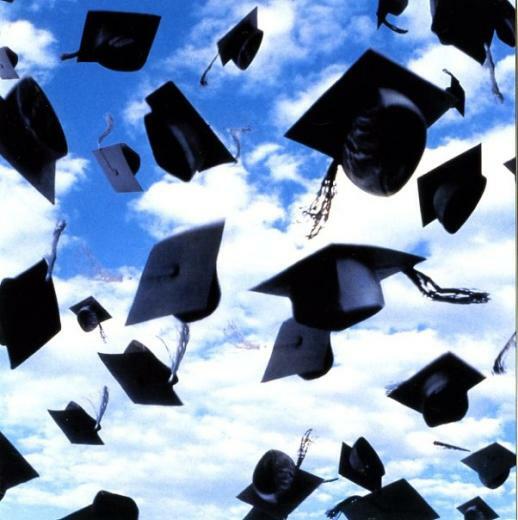 Spring is on the verge of transitioning into the summer season and this means graduations galore. This year's graduating class is faced with a much different, and more competitive, job market to work their way into than previous classes. This shouldn't and doesn't have to put a damper on this joyous celebration. While grads may have entered college during one economic climate and exited with a less favorable one, the job market is an ongoing, fluctuating cycle. In order to make a place of their own in it, job seekers must be able to adjust their approaches accordingly. The following tips will help grads in their job searches so as not to succumb to challenges in the new world of employment. A typical college grad job search is challenging and sometimes lengthy. College grads tend to apply at the same time--right after graduation--that there are much more applicants than available positions. Grads usually have to wait months before getting a job, and these are the lucky ones. This is just how it works. Every grad's journey is different, just make sure not to lose sight of your own. The college experience teaches people a lot about themselves. A college campus is a hub of diverse cultures and backgrounds that encourages people to speak their minds and let their inner colors show. Once grads get into the "real world" they often forget that they were a person and turn into a corporate robot. The job market does have more traditional guidelines, to a point, but it also stresses that people show off their individuality. Even in resumes, the one that stands out gets a call back. Landing a job after college means keeping an open mind. Even though you may have gotten a degree in one area of study, that doesn't rule out pursuing careers in others. A degree is an advantage meant to open up more opportunites, not limit them. Picking and choosing where to apply based on your first choice preferences is going to draw out your job search even longer. Your first job after graduation should give you a leg up in starting your career so you can't expect to land you the exact spot you want to be in ten years from now. You don't have to take yourself too seriously. The thing that many companies like about bringing aboard a college graduate is the vivacity that they bring to liven up the team. Professionals who have been in working in their positions for a long time are used to doing things a particular way after so many years. A college grads refreshes a work environment. You should be serious in your job search but that doesn't mean you have to take yourself too seriously. Remember that there are innumberable ways to measure success. A careers spent paper chasing isn't going to amount to much of a career. Some people believe that pursuing a career based on interests rather than popularity isn't a wise choice. But no matter which direction a person decides to go in, anyone can become successful if they are passionate about what they do. The two important things to have in any career is drive and commitment. Graduation might mean the end of classes but you should never stop learning. The beginning of your career is when you're put to the real test. This is a transitioning point in your life where you're learning new, practical skills that will build the foundation of your career. Take each learning experience as another opportunity seized . Most college grads have student loan repayments to make. Even with the six-month grace period some grads still have insufficient income when repayment time comes around. Debt is a college grad's worst nightmare as it can take years upon years to finally get out of. It's impertinent to avoid it at all costs by not spending money you don't have to spare. In fact, forget the word "spare" altogether. Any money you have should be allocated to the essentials. You never know when your finances might catch up to you all at once. Whether you have outstanding balances or not, something will come along that HAS to be paid for and it's better to be prepared for it. Once you get that job you've worked long and hard for is when you can start reaping in the rewards. The truth about internships in today's job market is that they seem more like free labor than an even exchange of time and personal resources for valuable experience. For the lucky ones, some form of compensation might be included. For most interns, however, the internship is more than about gaining experience. In the end, what they really hope for is a job prospect that, unfortunately, may never come. As much as we all wish, bills and hunger don't cease for internships. When considering all the necessary costs we already have to pay for just to survive and topping them with the additional expenses of the internship (transportation, attire, etc.) it almost doesn't seem worth it. Before ruling internships out or throwing in the towel, keep in mind that it isn't uncommon for interns to stay with the company after it ends. In fact, many who bond or make a good impression on their supervisors are more than likely given the opportunity for a paid position. Remember that this is something you have to work for and earn. 1) What does this internship mean to you? Think about your reasons for wanting to intern at this company or organization in the first place. Is because you favor the industry, want a certain skill, or simply want varied experience on your resume? Whatever your reasoning, make it clear before you apply so that if you're accepted, your choices throughout the internship will be influenced by your ultimate career goal. 2) Work like you're being paid. It's easy for interns to shirk their duties when they aren't getting anything tangible in return for it. The problem with this is that the reward is based on your supervisor's impression of you. They'll be paying close attention to level of work performance and can easily tell apart the interns who are slacking from the those who are pulling their weight. 3) Remain a team player. Internships like most things work-related are competetive environments where you want to outshine the other candidates. Professional competitions should always be light-hearted, it's all about the best man winning. You want to get to know as many people as you can during your internship to make valuable networking connections. Keep your career in mind while forming relationships with peers, colleagues and especially the veterns of the company who can help you get your career started. This may seem difficult to do but it shows that you care about the quality of your work. This feedback can help you improve on things you may not have been aware of thus allowing you to outshine the competition. Plus, it doesn't hurt to get insight to his or her impression of you and make it even better. Supervisors appreciate that. 5) Become a social investigator. Aside from learning what your supervisor thinks of you, strike up conversations with your co-workers and learn about their beginnings. Showing an interest in their opinion will get them interested in your future plans. Ask them for advice and from that point they'll more than likely offer any help that they think will benefit your goals and interests. Of couse, no matter what always have humility when working (even if unpaid) for an organization and its employees that could influence your career. When people take time to help you or do you a favor make sure that your thanks are sincere. People who sense your appreciation won't hesistate to return another nice gesture, say, something as nice as a job offer.